If every site was as meticulous as SteamDB there wouldn’t be any question as to when a game was delisted! Search for a title and click the History link down the left. BAM! Timestamped, permalinked entries to when anything changed with a game. Look for red entries, especially ones labeled “Removed Store Name”. It’s also a great place to find links to the game’s Steam Store page and its Community Hub. Note: You need to connect your Steam account to SteamDB in order to browse the full history. Want to see when a game came and went from GOG.com (formerly Good Old Games)? When a game was on sale and then went back to full price? This community wiki probably, maybe has the answer. Since Ubisoft rolled out the Uplay client in 2012 they’ve offered PC games for sale and download. Most (all?) of these are available on other platforms but it’s a good place to check and see if their games are still offered. 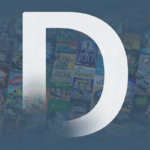 Similar to Uplay, Electronic Arts has been selling digital copies of PC games for years. If you’re looking for an old PopCap Games title or something from the early Xbox 360/PlayStation 3 days, don’t forget to check Origin. I haven’t found much that is exclusive to Origin but it doesn’t mean it won’t happen eventually.